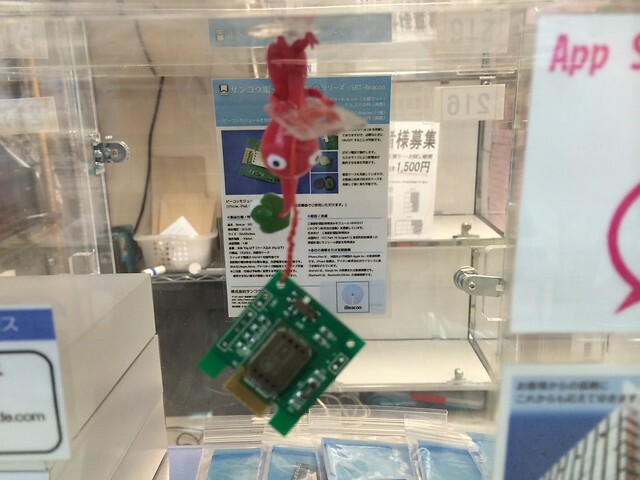 In the radio center under the Akihabara guard, We established iBeacon. 3、Please go to the radio center. 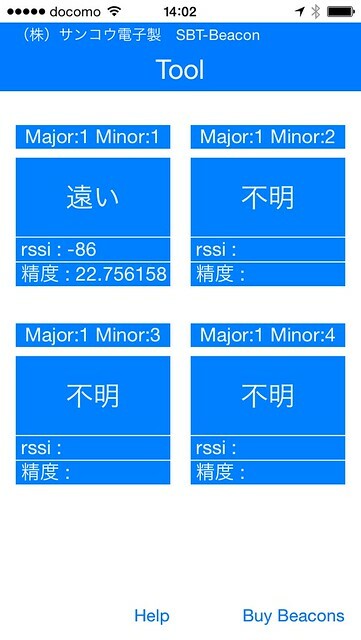 When you walk while confirming application,screen will change　Major:1 Minor:1 「不明（unknown）」→「遠い（far）」Please look for “red Pikumin” that there is near. We wait for person who wants to put iBeacon to Akiba. (an idol under the ground, a maid coffee shop, a production-related part trading company, the restaurant business do not matter to the … The type of industry is possible in anything) We wait for communication. Let’s heap up Akiba together.